Have you ever wondered why most people firmly believe they will go to heaven when they die? Even many agnostics and unreligious people believe heaven is for them. I have seen many surveys that support this popular belief. The reason so many believe heaven is their personal destination is because it is true. I believe somewhere nestled in the soul of every man and woman is this knowledge of heaven. God has written the name of every person in the Book of Life and placed eternity in their heart so they might desire Him and be drawn back to their Creator. This is a wonderful comfort to know we are all desired by our Heavenly Father. The Bible clearly speaks of a book the Lord has in heaven. 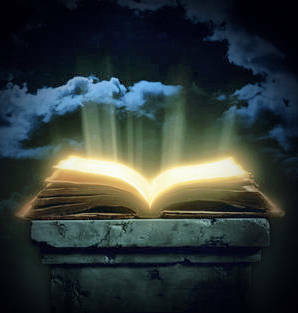 It is called the Book of Life or The Lamb’s Book of Life. In its pages are listed every man, woman, and child born of God. Your name is there, my name is there, and billions of others have been placed on its pages. At some point-in-time in the near future the names of those listed on those pages will be called out and given a home in heaven with the Lord. Now we know why so many people, deservedly or undeservedly, believe in the reality of heaven. The good news is your name is recorded in the Book of Life. The bad news is your name can be blotted out of the Book as well. Why would the Lord allow someone’s name to be erased from the Book? Sin, disobedience, and rebellion gets our names removed from God’s Book. Fortunately, we have an advocate working on our behalf to ensure that our name stays written in the Book of Life forever. His name is Jesus! B – Believe in Jesus Christ, God’s Son. Believing in Christ changes our heart. Belief gives us the righteousness we need. It may seem quiet simple, but it is what God requires. From this day forward every new revelation the Lord gives you changes your heart. Jesus is the first of many revelations the Father desires to give us. C – Confessing with your mouth results in your salvation. When your mouth confesses what your heart sincerely believes, it creates a spiritual transformation within your inner man. In this case, your salvation or deliverance is assured. “For whoever will call upon the name of the Lord shall be saved.” Romans 10:13 This is a promise you can count on because it is backed by all of heaven itself. Your name will never be erased from the Lamb’s Book of Life and Jesus Himself will confess your name before the Father that you are a child of God. The title of this page is “Knowing Your Eternal Destiny“. Do you have a peace about your eternal destination? When you pass from this life to the next, will your name still be written in the Book of Life? If not, walk through the ABC’s of giving your life to the Lord. You do not need a special person to be with you nor is there any better time than the present. If this is the decision you have made, drop me a note and allow me the opportunity to encourage you in your new life in the Lord. Check out this same content on Tapestry – Knowing Your Eternal Destiny. another page. Thanks for the comment. its so nice message i read at this blog……..i love it……….